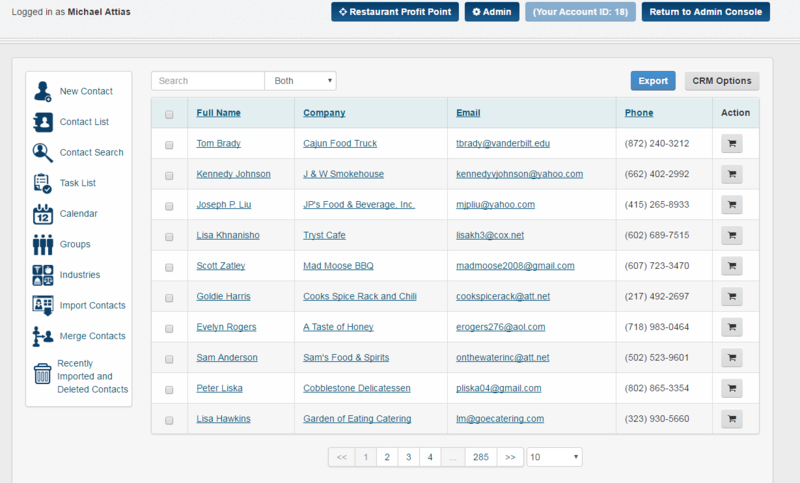 In this article you will learn how to use the Contact Search icon to look up a specific field in the CRM tab. This icon is used mostly when searching for specific groups or industries. 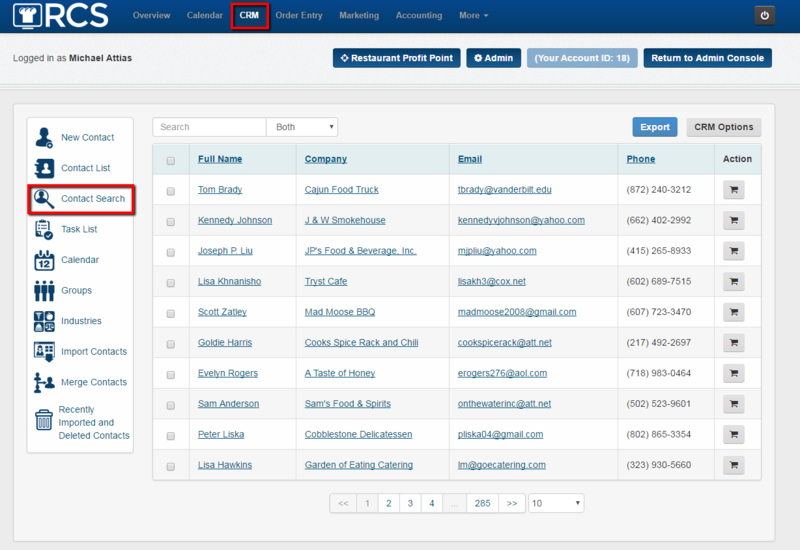 1 - Click on the CRM tab and then click on the Contact Search icon. 2 - Once you click on the Contact Search icon a pop up box will appear. There are 2 drop down boxes and one box for you to fill in. You can add as many different levels of filters that you like by using the Add Another Filter tab. 4 - Next you will choose how you want to search for the field. Does the field need to Contain - Does Not Contain - Is Equal To - Is Not Equal To - the field you will fill out next to the right of the screen. 5 - The box you will fill out what you are Searching for. So if you are looking for a specific Group you will fill out that name of that group. 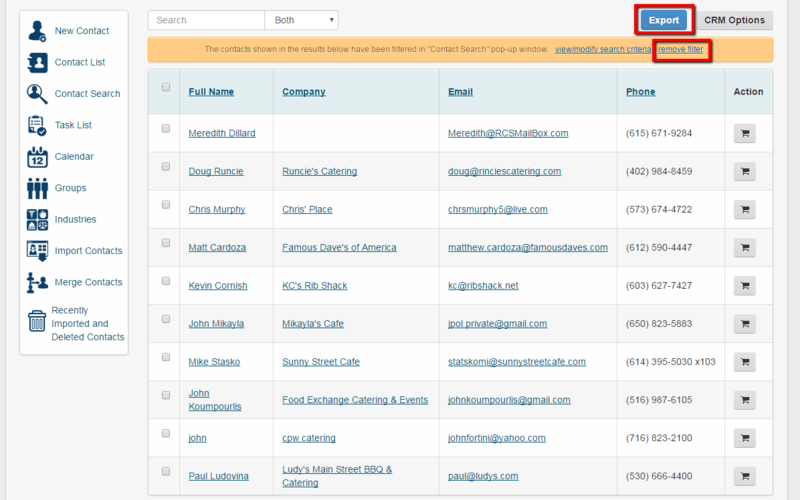 Once you have completed selecting or filling out each box click on the Filter Search Results tab. 6 - Your Search Results will appear below. At the top you will see an Orange Box with the filters that you added to get the results. You can click on either the View Search Results tab or the View link next to a name to view the list that was collected in the CRM. 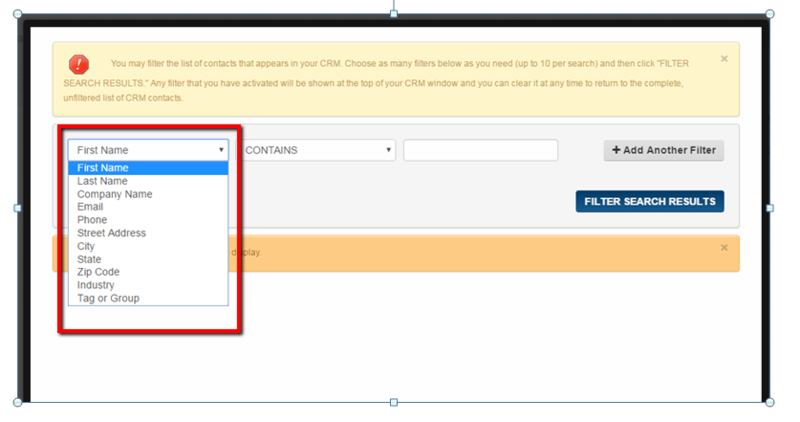 7 - Once you click on either the View Search Results tab or the View link next to a contacts record you will see the CRM tab with all of the Records that match the Filters you requested. 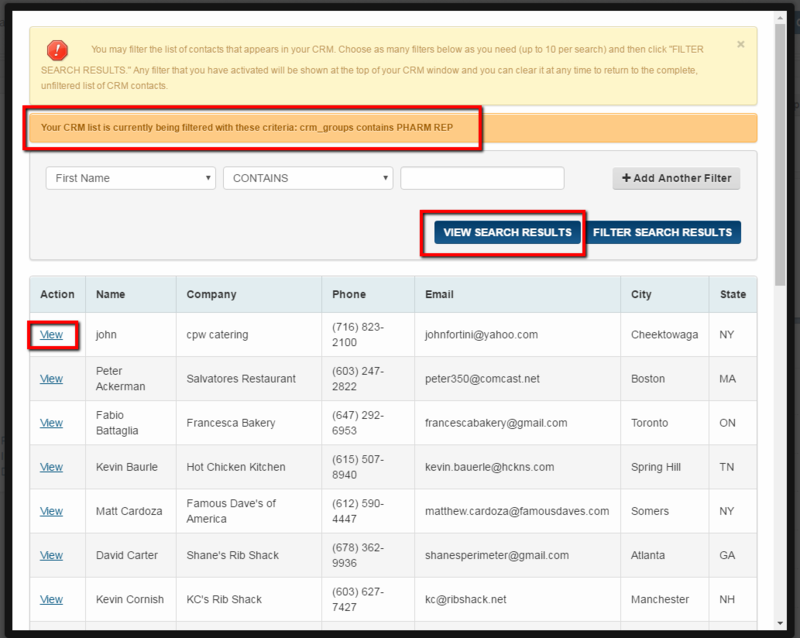 8 - Please note that ONLY the records that match the Search you requested will appear. You can export this list by clicking on the Export tab. Once you are done with the list click on the Remove Filter link found in the orange box. 9 - Exporting the list will download an Excel file to your computer. 10 - Once you open the Excel file you will then be able to sort and view your records in Excel. 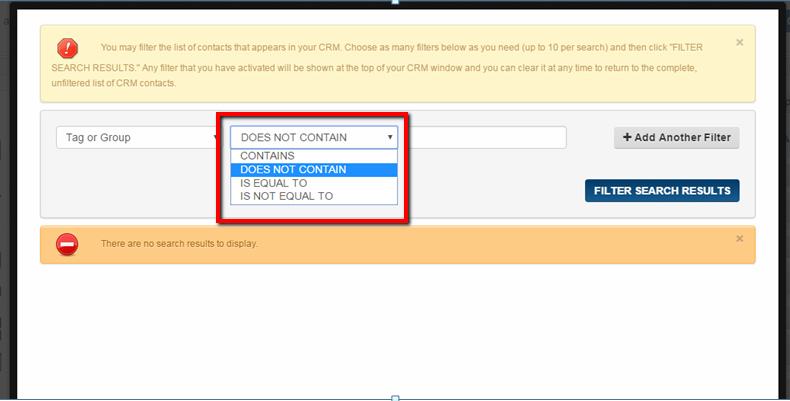 11 - Once you click on the Remove Filter link your CRM will show all the records in your database and you can start a new search. 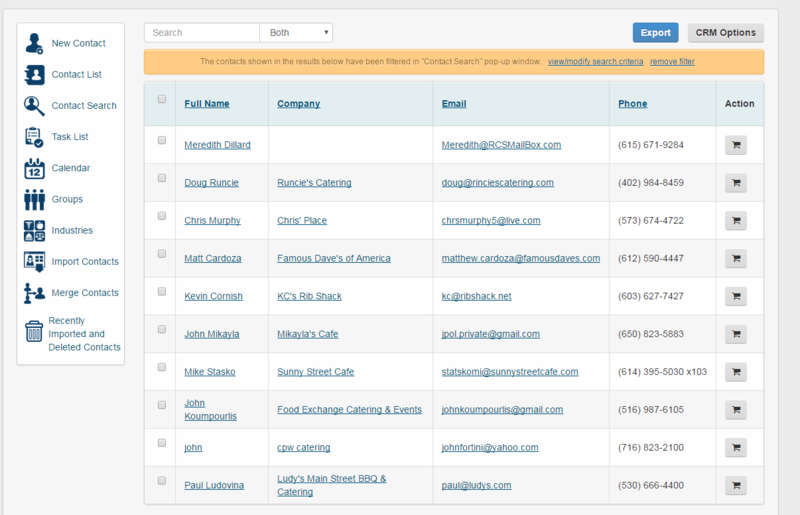 You have now learned how to use the Contact Search icon to look up specific fields found in your CRM tab.